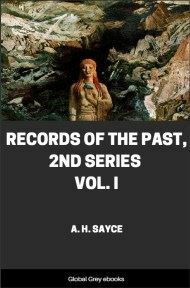 This is volume one of the second series of Records of the Past, under the editorship of A. H. Sayce. This volume includes two versions of the Creation epic, today known as the Enuma Elish, and several historical texts. 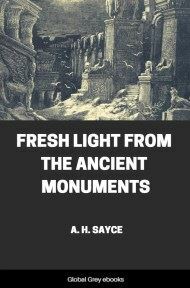 Chapters include: The Dynastic Tablets And Chronicles Of The Babylonians; The Inscriptions Of Telloh; Sin-Gashid's Endowment Of The Temple Ê-Ana; An Erechite's Lament; Inscription Of Tiglath-Pileser I, King Of Assyria; The Assyrian Story Of The Creation; The Babylonian Story Of The Creation According To The Tradition Of Cutha; Babylonian Lawsuits And Judgments; Inscription Of Menuas, King Of Ararat, In The Vannic Language; and, The Ancient Hebrew Inscription Of Siloam. Chronology is the skeleton of history, and until we can find the correct chronological place for a historical monument it loses a large part of its value. Thanks to the lists of the so-called eponyms, by means of whom the Assyrians dated their years, the chronology of the Assyrian kings has long since been placed upon a satisfactory footing as far back as the tenth century before our era. The dates, moreover, assigned by Sennacherib to Tiglath-Pileser I. (B.C. 1106), and Tukulti-Uras, the son of Shalmaneser I. (B.C. 1290), as well as the lengthy genealogies with which these kings are connected, enable us to extend Assyrian chronology back for another five hundred years, though, of course, with only approximate accuracy. While our knowledge of Assyrian chronology, however, has thus been tolerably fixed for a long time past, we have had to depend upon the vague and contradictory statements of Greek writers for our knowledge of the chronology of the older kingdom of Babylonia. Apart from the invaluable table of kings known as Ptolemy's Canon, which belongs to the later period of Babylonian history, and the unsatisfactory list of dynasties excerpted from an epitomist of Bêrôssos, our only monumental authorities for Babylonian chronology were the Assyrian inscriptions themselves, together with a few fragments of a dynastic tablet brought to light by Mr. George Smith and the so-called Synchronous History of Assyria and Babylonia, of which I published a translation in the former series of Records of the Past (vol. iii.) This "Synchronous History" was composed by an Assyrian scribe, and consists of brief notices of the occasions on which the kings of the two countries had entered into relation, hostile or otherwise, with one another. Since my translation was published in 1874, another large fragment of the tablet has been discovered, and accordingly I purpose giving a new translation of the whole document in a future volume of the present series. The "Synchronous History" gives no dates, and consequently its chronological value depends upon our knowledge of the respective dates to which the Assyrian monarchs mentioned in it belong. Within the last few years a number of discoveries due to Mr. Pinches has entirely changed our position in regard to the chronology of the Babylonian kings. As I have already stated, Mr. Smith found among the tablets brought from the royal library of Nineveh a small fragment which, as he perceived, contained the names and regnal years of the kings of Babylonia, arranged in dynasties. The work to which it belonged must accordingly have been similar to that from which Berossos derived his dynastic list of Chaldean monarchs. Mr. Smith published the fragment, with a translation and commentary, in the Transactions of the Society of Biblical Archæology, iii. 2 (1874). It is written on both sides, and the tablet once consisted of six columns, each containing about seventy lines. I will call it the "Third Dynastic Tablet." The next discovery was made by Mr. Pinches six years later among the inscriptions brought from the site of Babylon by the overseer of Mr. Hormuzd Rassam. He found among them a small tablet of unbaked clay, quite complete and inscribed on both sides. It contains the names of the kings belonging to two early dynasties, the number of years reigned by each king being added to the names in the case of the first dynasty. The tablet seems to be a sort of schoolboy's exercise, having been copied from some larger work in order to be committed to memory. The Reverse has been published by Mr. Pinches in the Proceedings of the Society of Biblical Archaeology, 7th December 1880, and I will call it the "First Dynastic Tablet." Another and more important document—the "Second Dynastic Tablet"—was published by Mr. Pinches, with a translation and explanation, in the Proceedings of the Society of Biblical Archæology, 6th May 1884. This is also a tablet of unbaked clay from Babylonia, and it contains a list of the Babylonian sovereigns, arranged in dynasties, from the first dynasty which made the city of Babylon the capital down to the period of the Persian conquest. The number of regnal years is added to the name of each king and the length of time each dynasty lasted is duly recorded. The names of some of the kings are written in an abbreviated form: this is especially the case with those belonging to the second dynasty. The list, it will be observed, is confined to the dynasties which reigned in Babylon itself. No notice is taken of the kings and dynasties who ruled in "Accad and Sumer" before Babylon became the capital of the empire. The lost columns of the "Third Dynastic Tablet" show how numerous they were, and the fact is borne out by the bricks and other monuments of early Chaldean monarchs whose names do not occur among the successors of ’Sumu-abi. Most of the kings, indeed, whose names are known to us in connection with the temples they built or restored belonged to older dynasties than those which had their seat in the city of Babylon. A considerable number of their names is to be found in another tablet brought by Mr. Rassam from Assyria, and published by Mr. Pinches in the Proceedings of the Society of Biblical Archæology, 11th January 1881. A small portion of it had already been published in W.A.I., ii. 65, and had given rise to a good many false conclusions. The object of this tablet was philological and not chronological; in fact the writer expressly states that the names of the kings were "not written according to their chronological order." 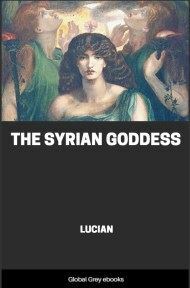 He merely wished to furnish the Semitic or Assyro-Babylonian translations of the Accado-Sumerian and Kassite names borne by so many of the early princes, and in some cases of the mode in which the names of Semitic kings were pronounced or written by their Accadian subjects.